This round trip through Central and Northern Sweden offers an incomparable experience for any driver. 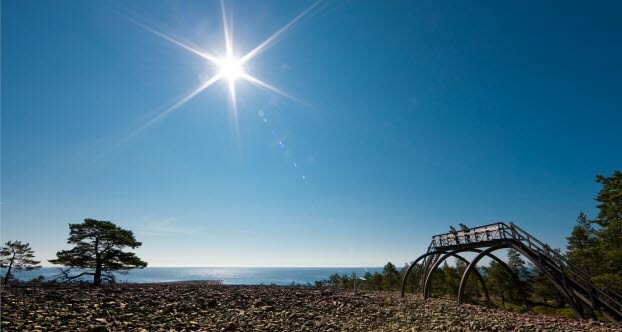 Highlights include the journey along the Gulf of Bothnia and the days in Swedish Lapland, north of the Arctic Circle. The return journey passes through Sweden’s interior, rich in forests and lakes, to the picturesque Lake Siljan, before enjoying another taste of vibrant Stockholm. This long tour of Northern Sweden starts in Stockholm, heading up to Uppsala and Gävle and then following the coast all the way to Luleå. Here you turn inland towards Malmberget, the “Ore Mountain”, before continuing to Kiruna. Mountain-walking enthusiasts may wish to add a side trip to Abisko National Park. On turning southwards again, the route passes through the interior to Jokkmokk, Dorotea, Östersund and on to Siljan, before finishing in Stockholm. Sami culture is definitely not to be missed! Its centre is the town of Jokkmokk, where, among other things, you can admire and of course purchase many different Sami handicrafts. Jokkmokk is also home to the educational Ájtte Museum – the Swedish Mountain and Sami Museum – and Sami University College. Sample tasty regional dishes at restaurants such as Buffe Trädet. The elk has become a symbol of Sweden, and visitors are very keen to see an elk in the wild. This route takes you through vast forest areas – the elk’s habitat – and so you should not only be vigilant on the way, you should also keep your eyes open, and perhaps this holiday wish will come true!